AI can be instilled with lots of the inherent biases of humans. Biometric Mirror is an AI that analyzes a person’s face and then displays 14 characteristics about them, including their age, race, and perceived level of attractiveness. To use Biometric Mirror, a person just has to stand in front of the system for a few seconds. 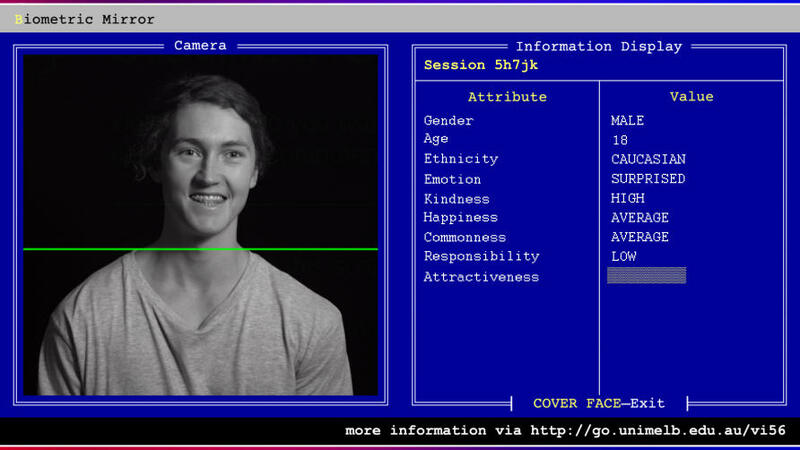 It quickly scans their face and then lists their perceived characteristics on a screen. The AI then asks the person to think about how they’d feel if it shared that information with others. How would they feel if they didn’t get a job because the AI ranked them as having a low level of trustworthiness? Or if law enforcement officials decided to target them because they ranked highly for aggression? A system as biased as Biometric Mirror could have major consequences as AI becomes more widely used and makes increasingly important decisions. And this isn’t just some future possibility, either; we’re already seeing examples show up in today’s systems. While researchers work on figuring out ways to ensure future systems don’t contain those same flaws, it’s important that the public consider the potential impact of biased AI on society. Biometric Mirror could help them do just that.